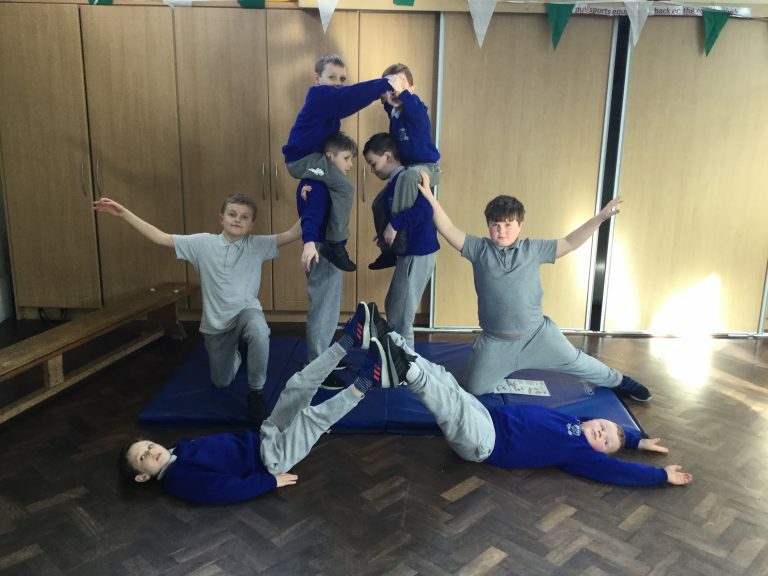 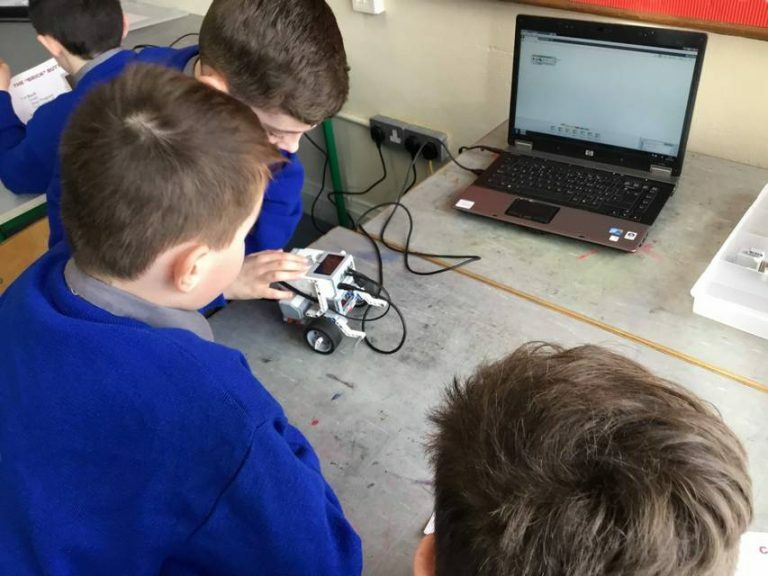 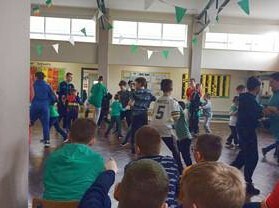 Ba mhór an sport agus an spraoi a bhí ag na scoláirí ag ceiliúradh Seachtain na Gaeilge i mbliana. 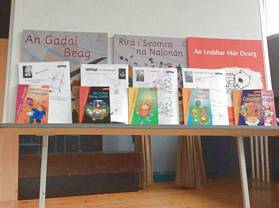 Rinne siad iarracht speisialta Gaeilge a labhairt an oiread gurb fhéidir leo le coicís anuas. 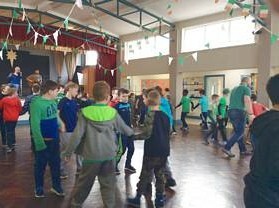 Bhain gach duine taitneamh as na cluichí agus as na comórtaisí go léir a bhí ar siúl againn agus as bronnadh duaiseanna sa halla ar an Déardaoin. 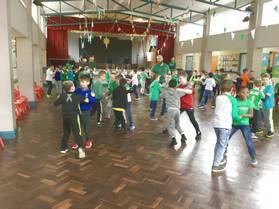 Chun deireadh a chur le Seachtain na Gaeilge, bhí Lá Glas againn. 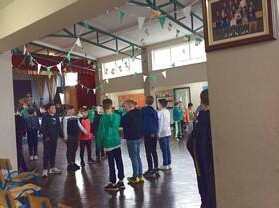 Chaith na páistí éadaí glasa agus bhí rannta le chéile againn sa halla ar maidin. 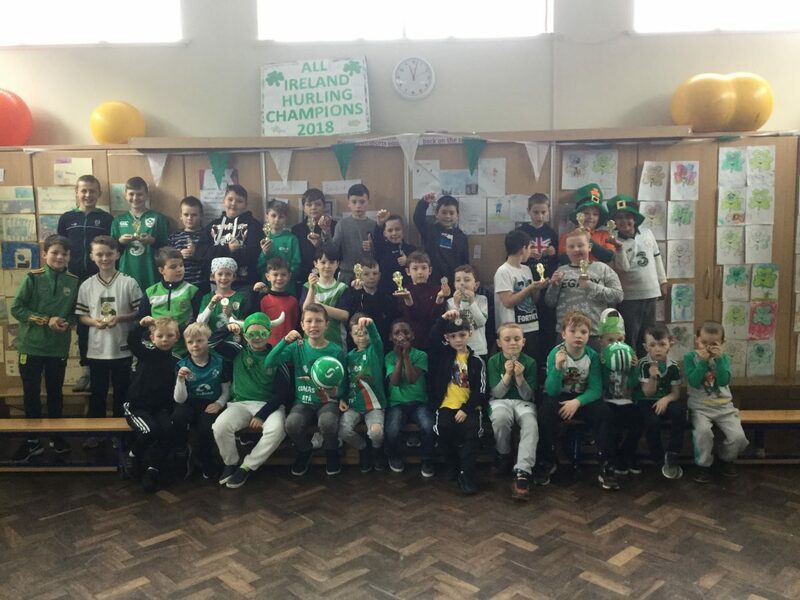 Chan na naoíonáin, agus ranganna a h-aon agus a dó amhráin nó dánta a bhí ar eolas acu. 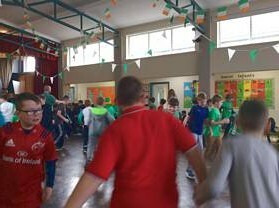 Um thráthnóna bhí céilí sa halla agus thaitin sé go mór leis na páistí. 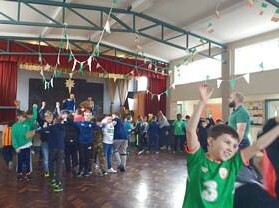 Míle buíochas do Ronan Ryan ( flute) agus Alan Jordan ( guitar) a tháinig arís i mbliana go dtí ár scoil chun ceol a sheinnt don chéilí. 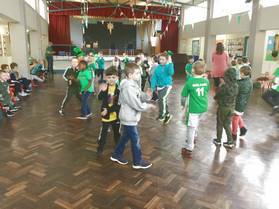 Bhí craic agus ceol againn! 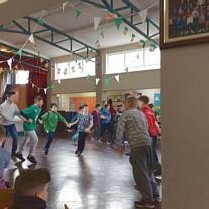 Lean leis an Gaeilge a bhúachaillí…cúpla focal gach aon ló sin mar a bhíonn teanga beo. 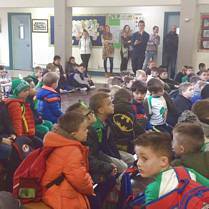 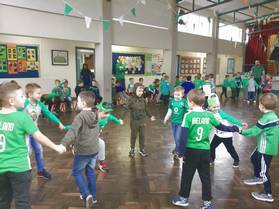 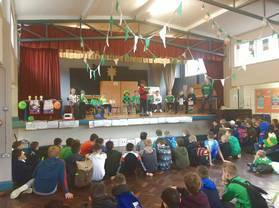 Great fun was had by all during Seachtain na Gaeilge this year. 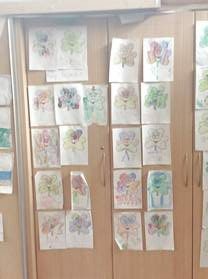 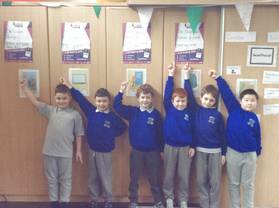 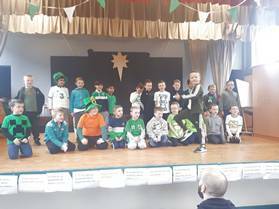 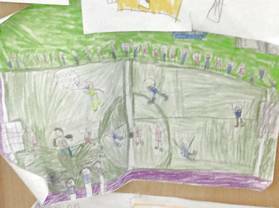 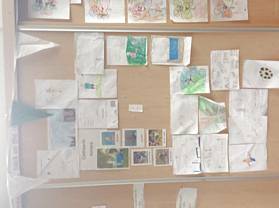 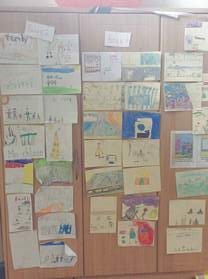 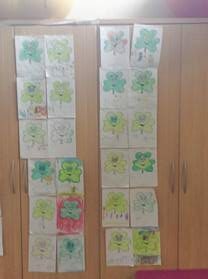 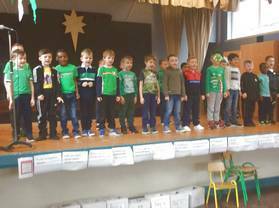 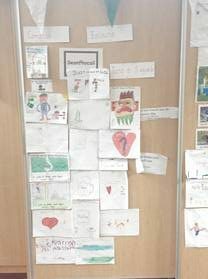 The pupils made a great effort to use Irish at every possible opportunity during the fortnight. 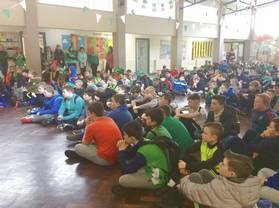 Everyone enjoyed the games and competitions that took place and the presentation of prizes took place in the hall on Thursday. 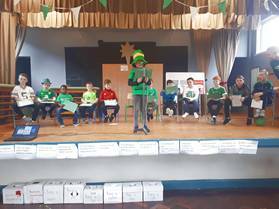 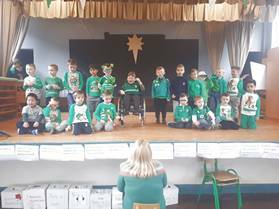 The week concluded with a Lá Glas and the children from Juniors to second recited their songs and poems on the stage. 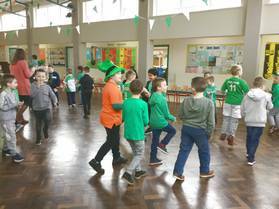 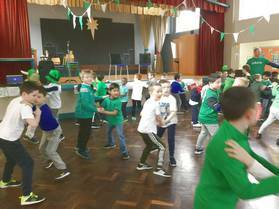 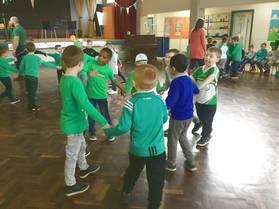 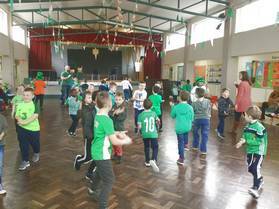 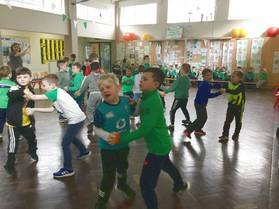 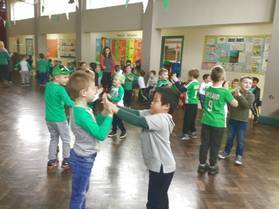 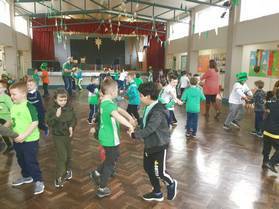 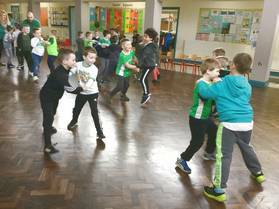 In the afternoon there was a céilí where the children really displayed their dancing talents. 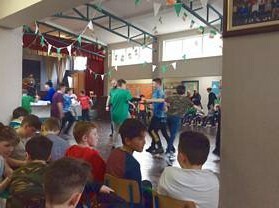 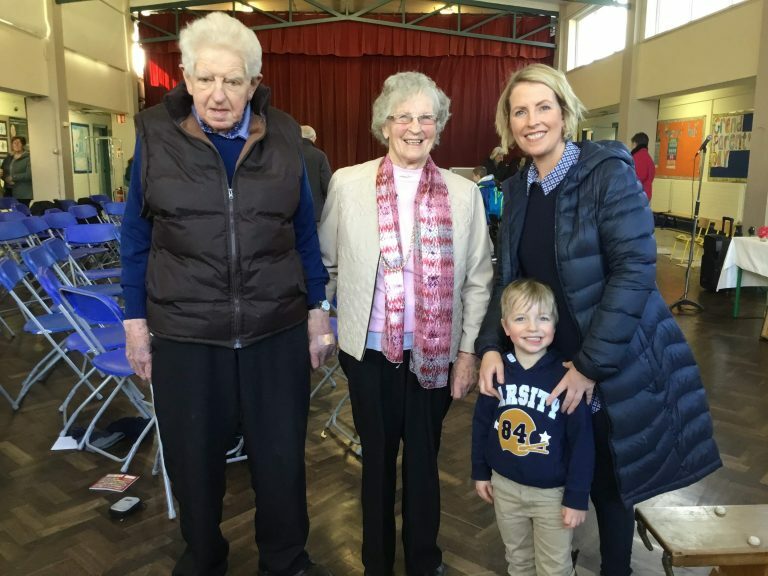 We were very fortunate to have Ronan Ryan and Alan Jordan play for our céilí again this year, it was wonderful to have music performed live at this event, many thanks Ronan and Alan! 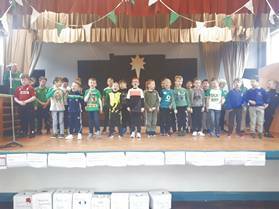 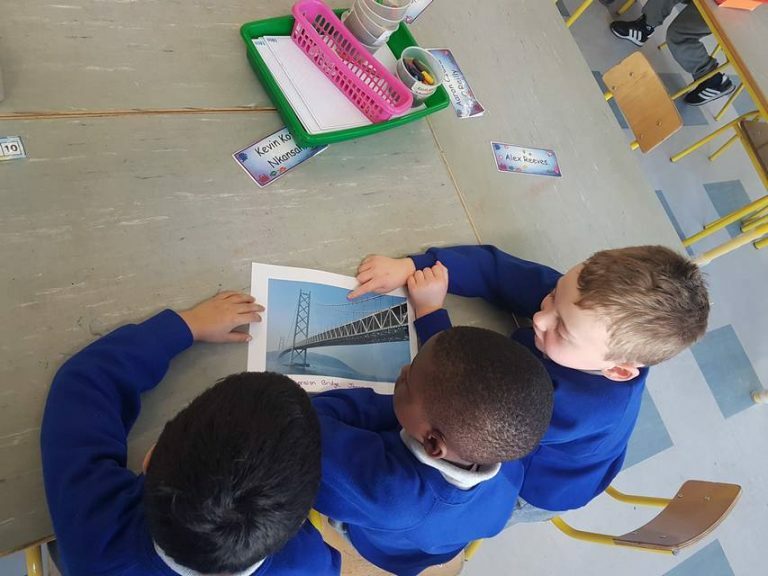 Keep up the Gaeilge boys… cúpla focal gach aon ló sin mar a bhíonn teanga beo.